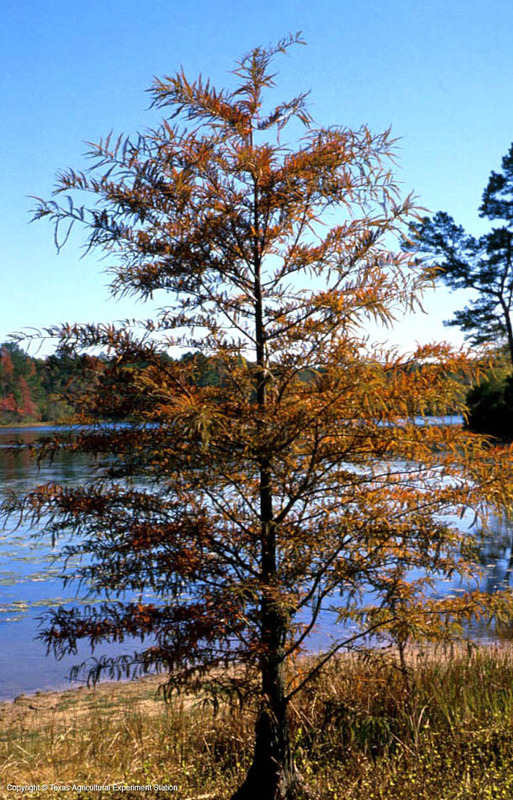 Baldcypress is a deciduous conifer of ancient origin that is widely planted in Texas as a shade tree. Its layered branches with needle-like leaflets that turn from dark green to bronze or rich pumpkin brown in autumn give it an feathery, fine-textured appearance. 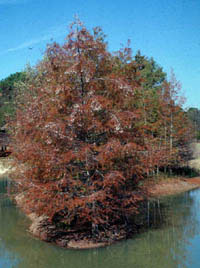 Baldcypress is native to swamps and rivers in east and central Texas. It can tolerate standing water or rather dry sites once established, but does best in wetter areas and in acid to neutral soils since it can become chlorotic in high pH soils. The famous "knees" are woody conical growths from the roots that are produced in wet areas or near water features; their exact function is not known. The fluted trunk flares at the base and becomes highly butressed in old age. 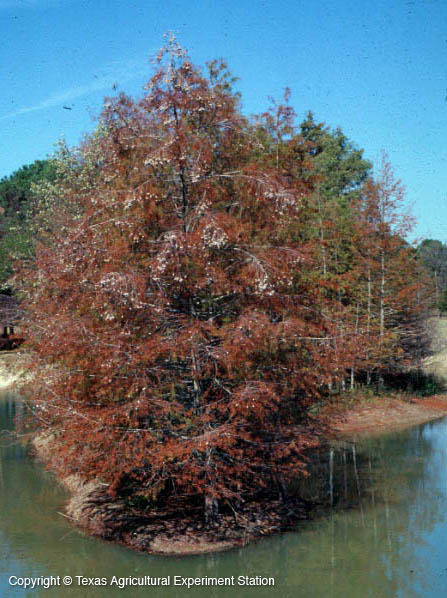 Baldcypress is extremely long-lived and its wood is very durable and valuable timber. It is often listed as slow growing, but is actually a rapid grower if fertility is good and water is available. Height: 50 to 70 ft, can be 100 ft.
Width: 20 to 30 ft.